At bloody last it is actually warm enough to dust off a gingham spring dress. The trend in gingham had me caving for this one with wait for it, side pockets. If those pockets were not on there I’m not even sure that I would’ve got it. 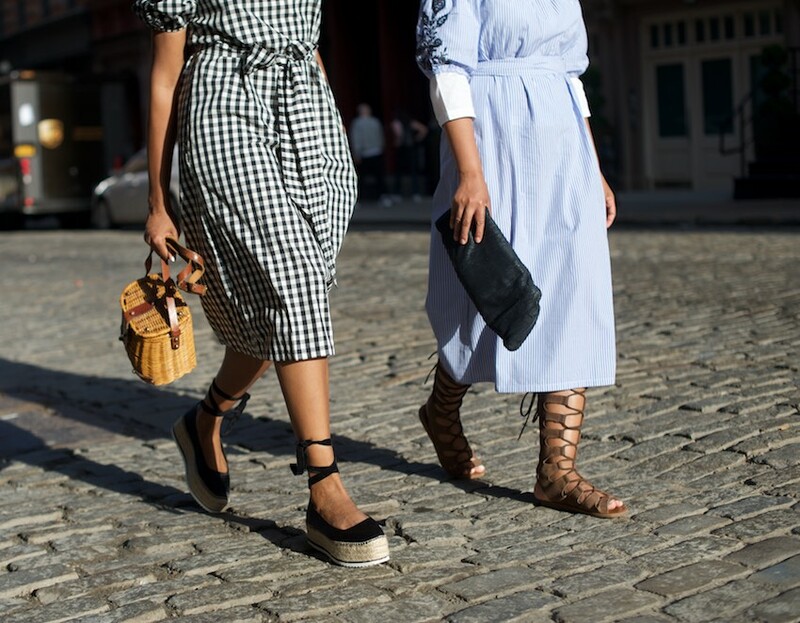 Have you caved yet on any gingham pieces? I did a recent blog post about gingham which was enough for me to start pin pointing what to go for. You can see how my friend Tiffany (and photographer for this post) wore the same dress in pinstripe on Tuesday on The Werk! Place. ps. Speaking of dresses, did you see my current video about summer dresses on YouTube? Dress: Who What Wear x Target. Platform espadrilles: Zara (OMG!!). Similars from Castaner (which I so want buy by the way). Bag: LoveDay31 boutique. Shades: Zara. Earrings: H&M. Similar basket bags on Amazon here or this one on Etsey.